The production of NOUSAKU products requires four basic steps: mold-forming, casting, finishing and coating. Independent craftsmen who work for multiple clients make the wooden molds, which are then stored for years. The NOUSAKU warehouse is full of hundreds of these molds that sometimes are used once every few years to renew certain parts of a temple. During the casting process the wooden molds are placed in a steel box that is filled with a special mix of so-called "green sand." Once the sand solidifies, the wooden mold is removed, leaving the shape of the object to be produced, which is then filled with molten metal. In one day, workers in the casting area will prepare hundreds of core molds. The next day they will all be filled with metal, and after cooling the newly created objects will be removed from the molds and the sand recycled. The physically demanding casting area requires a lot of teamwork, but the next production step is performed by highly specialized craftsmen who work alone at their stations. The last step of production is coating, which is performed by specialized external companies, with different companies used for different kind of coatings. 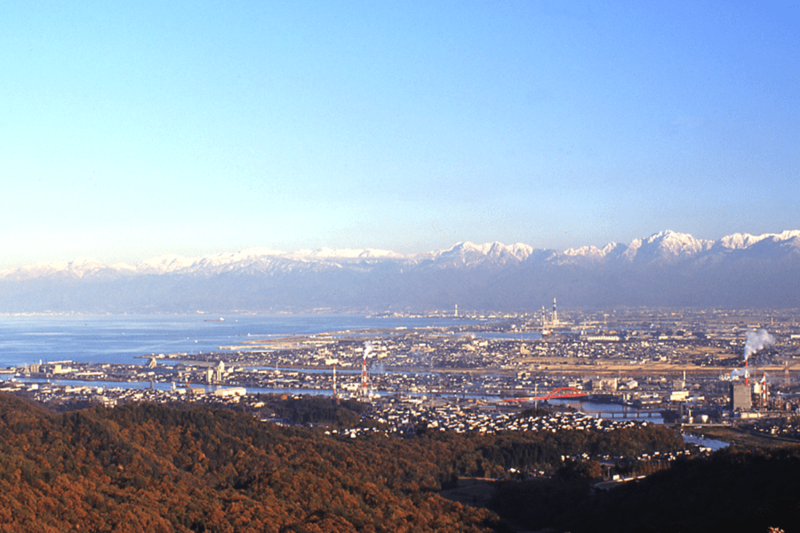 By working together with multiple external partners for creating molds and coating, NOUSAKU helps maintain the ecosystem of the traditional craft of Takaoka casting. In addition to brass, which is used for making many products such as wind chimes, NOUSAKU developed a new range of products made of pure tin. Known as the most expensive metal after gold and silver, tin is very malleable and flexible. Though having nearly the whiteness of silver, it does not rust easily nor will air tarnish it readily. It's significantly antibacterial, and is also known as a material with low allergic reactivity and high heat conductivity. The history of tin dates back to around 1500 B.C., when the ancient Egyptian pharaohs were believed to have used tin tools. The Shosoin repository in Nara also contains treasures made of tin. It has been believed that water in a tin container does not spoil, and tin removes excessive bitterness from sake and produces a better flavor. Because it's known to absorb impurities and purify water, products made of tin are said to be ideal for enjoying liquor, meals, sweets or even flowers. Cooling a tin plate in a refrigerator for two to three minutes will keep the plate fresh and cold. 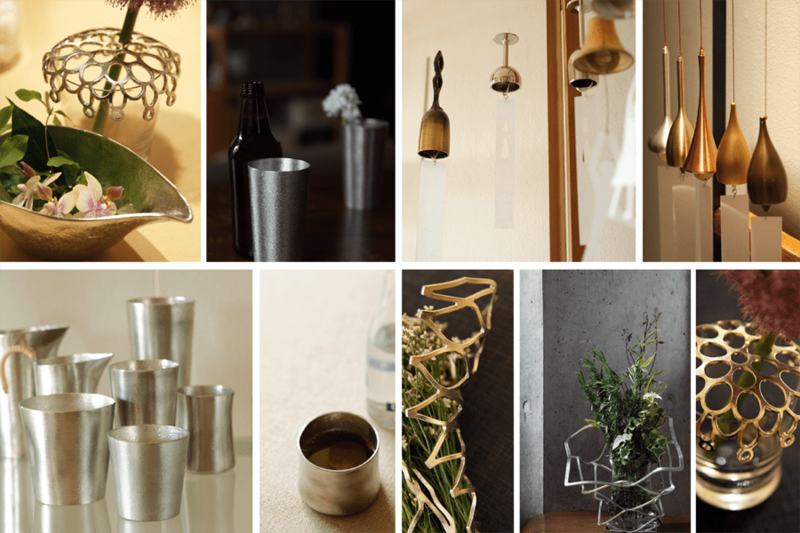 While it's common to add other metallic materials to provide durability and facilitate cutting work, but NOUSAKU uses tin without such additives, relying on the accumulated experience of its skilled craftsmen to overcome any potential drawbacks. Though it depends on the shape and thickness, pure tin is soft and flexible, and can be bent by hand (a crackling sound called the "tin cry" will be heard as it's bent). 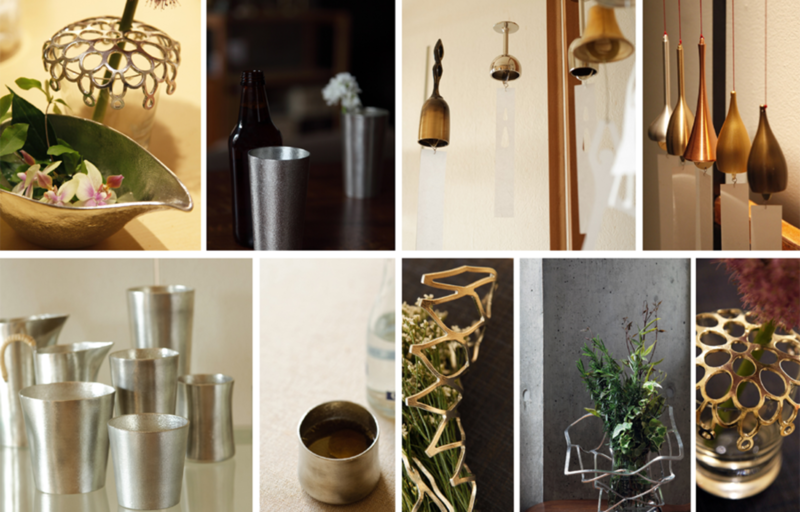 NOUSAKU's Flexible Ware line allows people use use these product in many creative ways. The story of NOUSAKU is not only that of a craft, but also about the transformation of a business. Through most of its history, NOUSAKU was a casting firm working for other companies that would make the finished products, meaning NOUSAKU almost never saw its end customer. It was when the fourth generation of the Nousaku family took over leadership that interest in the consumer grew. The company started working with designers to create new and interesting interior products, which received great recognition around the world. Ten years since the beginning of this transformation, NOUSAKU is on its way to becoming an interior decoration and tableware luxury brand known around the world. NOUSAKU has been hiring more and more staff in recent years to cope with its increasing success. With the average employee age now around 30, an inspiring and dynamic atmosphere has grown throughout the entire company. This culture of growth and creativity informs NOUSAKU's confidence in its future, where the company is looking forward to many more fantastic new products to come. Our mission at Nihon Ichiban is to make both the traditional and modern Japanese lifsetyle more accessible to the rest of the world. We cover food, crafts, fashion, design and much more! Better Know Your Old-School Senbei!